Seasonal oven mitts can often be purchased inexpensively at discount stores or on sale. They can then be used as special Christmas gift stockings. This is a guide about using seasonal oven mitts as Christmas stockings. 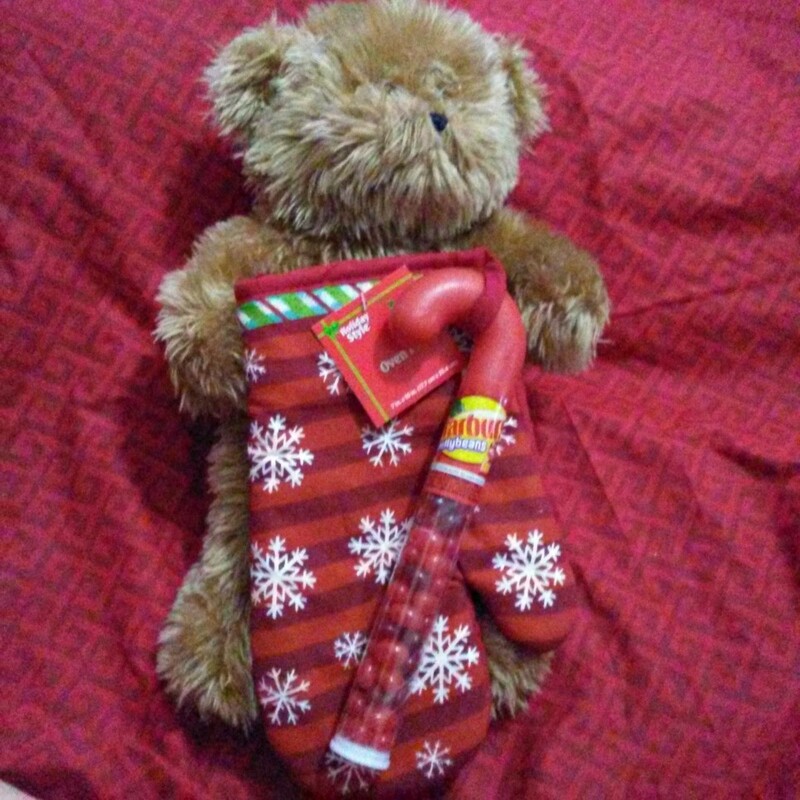 There were such cute seasonally decorated oven mitts at the Dollar General. I decided, right then, to use one as a holder of a little gift or two. I added a candy cane filled with Starburst flavored jellybeans. The gift will be for an adult and I will put a little gift card to a local restaurant inside, wrapped in a little box. I might use a Teddy bear to go with it, just because it looks so cute together! I often feel wrapping paper is fun and colorful, but I also like to use more useful items to hold little gifts. What a good idea! Gift bags usually cost a dollar, and their use is limited. They might get recycled a couple of times, but an oven mitt will live for a lot longer! Thanks for the tip. You are very welcome! Have a great New Year!